Insolvency - Easy come, easy go? An important decision concerning tenancy deposit schemes under sections 212-215, Housing Act 2004 was delivered on Friday, 14 June 2013. Since 6 April 2007, tenancy deposits on shorthold tenancies of residential premises must be dealt with in accordance with an authorised scheme. This requires that, within 30 days of its receipt of the payment from the tenant, the deposit is paid into an authorised scheme and that the landlord give to the tenant information in prescribed form concerning the deposit. First, a landlord holding a rent deposit which was not paid into an authorised scheme within 30 days may not serve a valid section 21 notice for possession under Housing Act 1988. Failure to pay the money into an authorised scheme within 30 days cannot be rectified, meaning that the deposit must be returned to the tenant before a section 21 notice can be served. Second, a landlord who has not given to the tenant the information may not serve a valid section 21 notice until the information has been given. So default in giving the information can be remedied to allow service of a section 21 notice. Third, the tenant may apply to the court for an order directing the repayment of the deposit (or for its payment into an authorised scheme) and for compensation of between one and three times the amount of the deposit. The fact that any default in giving the information has been rectified will not exempt the landlord from liability to pay compensation. Remedying that default simply allows the service of a valid section 21 notice. This case concerned a shorthold tenancy granted in January 2007 for 12 months. Therefore, the tenancy deposit was not subject to the above requirements as it pre-dated them. The tenancy continued after the expiry of the 12 month period as a statutory periodic tenancy on equivalent terms. Put the Court of Appeal held that, after the original term expired, the statutory periodic tenancy was a new tenancy which became subject to the new requirements ie that the deposit be held in an authorised scheme and that the information be given to the tenant. As the landlord had not complied with the requirements, it was not entitled to an order for possession; and is liable to return the deposit and to pay compensation to the tenant. Until the deposit is returned, the landlord cannot serve a valid section 21 notice. Does the case also mean that landlords who complied with the requirements after April 2007 have to re-comply when the term of the original tenancy has expired and been replaced by a statutory periodic tenancy? The Court of Appeal held that there is a notional repayment and payment of the deposit on the termination of the original tenancy and the commencement of the statutory periodic tenancy. So, a landlord does not have to repay the deposit and then take a fresh deposit and then pay that into an authorised scheme. The requirement to give information is possibly a little more uncertain. It is probably the case that, once given, the notice is effective. The Act provides that the information must be given "within the period of 30 days beginning with the date on which the deposit is received by the landlord." So, the argument is that, if the information were given at any time before the expiry of 30 days of the (notional) payment of the deposit, even if given a year or more before, it meets the requirement. But I can see an argument that the notice must be given within that 30 day window. So, the prudent course might be to give the prescribed information again. Now, the decision is specific to those situations where the grant and expiry of a shorthold tenancy spanned the introduction of the tenancy deposit scheme ie 6 April 2007. But what of those tenancies which were converted to statutory periodic tenancies before 6 April 2007? It was argued that they, too, are caught by the requirement to pay the deposit into an authorised scheme and give information. But the Court of Appeal decided that it was not necessary for disposal of the case before it to determine the point, so the point lives for another day. Somewhat worryingly, the Court said that it could "see the basis for this argument on the literal words of the [Act]". Losing your job is a painful experience. Termination payments soften the blow, but then the tax man grabs back tax on amounts over £30,000, adding to the trauma. The answer to the problem of how to avoid tax on termination payments over £30,000 has been found – and like the invention of the wheel, it could hardly be simpler! Tax experts have said it cannot be done, but it can and it has. What is more, any businesses can ensure that tax free benefits on termination are available to their employees at no risk to themselves. The key point is that the compromise agreement is drafted correctly – and that is where we can help. Standard agreements will not do – it is all in our wording. Inland Revenue has confirmed that our system works and is completely above board. We have achieved saving for clients in a variety of scenarios: one client received a payment of £38,000 and got the tax on the whole sum back, another received £100,000 and also got back the tax on the whole lot, another received £117,000 and got the tax back on £54,000. We have not only helped employees – we have even got tax back on severance payments to partners of law and accountancy firms. Here too, the magic is in the wording! Not convinced? Most of our tax work is done on a No Win, No Fee basis, so you have nothing to lose. 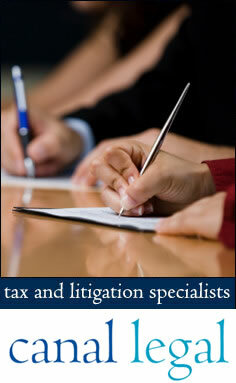 Contact us now to discuss your case in detail. Many of you will be aware that a bank that issues a credit card is liable jointly and severally with the supplier if there is any misrepresentation or breach of contract (provided the transaction is between £100 and £30,000). So, if goods or services purchased on credit card prove to be faulty, or do not live up to promises made by the supplier at the time of purchase, you can choose to sue the bank, the supplier or both. This is particularly useful where the supplier has become insolvent or has vanished or is difficult to pursue. Does this protection apply to goods and services purchased overseas? In October 2007, the House of Lords confirmed that it does. This further enhances the attraction of credit cards over purchases made by cash, cheque or debit card. The principle that makes banks jointly and severally liable with the supplier in credit card transactions also applies to purchases made on finance provided by third parties. So, if a car, electrical goods or services are purchased on finance, the bank or other party providing the finance is responsible together with the supplier for any misrepresentations or breaches of contract. You will have noticed that the default charges levelled by banks under credit cards have generally reduced. They were around £20-£25 per default. The reduction follows an investigation by the Office of Fair Trading which recommended that these charges should not generally be more than £12. In doing so, the OFT added that it was quite possible that even a £12 charge was too high. The OFT also said that charges for late or missed minimum monthly payments should be reversed upon the payment being received. The reason is that the bank doesn’t suffer a loss as a consequence of a late or missed payment, but banks do not, as a matter of course, reverse or reduce the charge, although some will upon request. The climate is ripe for a court case seeking to recover a default charge. It could prove to be the most important dispute over £12. While on the subject of bank charges, it is worth reporting that the OFT wants to investigate the charges on ordinarily bank accounts levelled by banks when private customers exceed overdraft limits, including the increased interest rates charged on so doing, and for returned items (ie bounced cheques and standing order or direct debit payments). A number of banks have objected to the investigation on the grounds that it is outside the OFT’s investigative remit under the Unfair Terms in Consumer Contracts Regulations 1999. The OFT has brought proceedings against the banks seeking a declaration that it can undertake its proposed investigation. The case is due to come to court in January or February 2008. Many people have heard or even been advised that payments up to £30,000 received on termination of their employment will be exempt from tax. While this is true to an extent, the law is largely misunderstood. Particular confusion surrounds payments made to employees in lieu of the notice prescribed under their employment contracts. More often than not, such payments are emoluments and are taxable as income just as if the employee had worked the notice period. Other assumptions on the availability of the tax exemption will have to be revised in the light of recent cases which have seen outcomes favourable to Inland Revenue. These cases have given added bounce and bite to Inland Revenue's approach to claims for tax free payments. However, it should not be overlooked that an exemption is available. It may just be a little harder to find and people need to ensure their advisers know where to look. Insolvency- Easy come, easy go? Recent legislation has brought about many important changes to corporate and personal insolvency. The impetus was the government's desire to encourage risk taking and an entrepreneurial culture. It is now much simpler and cheaper for companies in financial difficulty to get breathing space from creditors to enable it to reorganise itself. While reorganisation may lead to some people losing their jobs, creditors being paid less than the full amount of their debts and customers foregoing supplies, the hope is that the outcome for all stakeholders – employees, creditors, customers and shareholders – will be better than if a company is not saved. Some commentators have observed that the changes will make it even easier for the unscrupulous, but the overall reception has been positive. Another important change is the removal of the preferred status given to PAYE and VAT due to the revenue authorities. Their claims will now have the same rank as ordinary creditors. This means that ordinary creditors will fare better when a company goes into insolvency than they did under the old law, but the revenue authorities will fare worse. No tears from the general public on that score, but expect a “no more Mr Niceguy” attitude from the revenue on overdue PAYE and VAT. the requirement that a bankrupt's interest in the matrimonial home must be realised within 3 years of the bankruptcy. The second change should prevent the rather unfortunate situation that arose out of the property crash in the early ‘90s. Many bankrupts with negative equity were allowed to keep their matrimonial homes. But when, many years later, the home had returned to positive equity, official receivers and trustees in bankruptcy came knocking to ask the bankrupt (who had long been discharged from bankruptcy) to pay over the equity. It is worth remembering that changes to protect a bankrupt's pension were introduced in 1999. The changes on the matrimonial home and pensions law recognise a spouse's and children's interest in these assets. The alternative to bankruptcy - the Individual Voluntary Arrangement – has also had a facelift. The procedures have been simplified and it is no longer necessary to go to court to get one. However, it is expected that the number of people seeking IVAs is likely to drop in the light of the relative attractiveness of new bankruptcy. Indeed, too beautiful in the eyes of some beholders. The advent of adjudication as a means of determining building disputes has removed one certainty in legal life. It is no longer always the case that a dispute will become a financial disaster for most, if not all of the parties involved. Government recognised that building disputes were too complicated, took too long to finalise and were too expensive. They were damaging to the industry, and lawyers were not helping matters. What was needed was a new, cheap and quick way of resolving disputes. Despite some early misgivings, the introduction in the late 90's of adjudication has done the trick. The legislation allows any party to refer a building dispute to adjudication provided there is a written contract which does not relate to a residential dwelling occupied or intended to be occupied by one of the parties. Parties and the adjudicator are subject to time limits for dealing with the dispute. Decisions cannot be appealed. Although it is possible to re-run a dispute in court, parties seldom do so. There is, perhaps, an element of quick and rough justice, but the old fashioned way so rarely produced perfection that no-one seems to mind too much. Building contracts lasting more than 45 days must provide for interim payments and notice must be given if a party wishes to withhold interim or final payments. The practice of tying sub contractors' payments to receipt of funds form the employer is outlawed except where the employer is insolvent. Our experience of adjudication leads us to conclude that its introduction was a masterstroke. Indeed, we think there is ample scope for parties to agree that adjudication be used as a means of resolving disputes that might arise in non building contracts. Sellers of goods, from small domestic appliances to major items of plant and machinery, need to be aware of two changes in the law which enhance the rights of buyers of faulty goods. The first change arises from a case decided in 2003 which allowed the purchaser of a £250,000 yacht to demand his money back a full 7 months after taking delivery. The court also decided that the buyer was entitled to refuse the seller's offer to fix the fault, even though this would only have taken an hour. In making its decision, the court overruled a 1986 case in which a purchaser was refused a refund on a faulty car because he had taken 3 weeks to complain. Many sellers have relied on the 1986 case to justify refusing refunds to dissatisfied customers, so the new case will require sellers to rethink their strategy. One strategy sellers should consider is amending their terms and conditions to impose reasonable limitations to their obligations in respect of faulty goods, and restrict reasonably the remedies available to the customer. However, as will be seen from the second change, this strategy can only be used in the case of sales to business, trade or professional customers. The second change has been brought about by new consumer protection legislation and is relevant only to sales by traders to private individuals. The new legislation broadens the range of remedies available to private individuals, but it also gives sellers new rights. Private individuals who have purchased faulty goods now have a right to demand repair, replacement or a price reduction as alternatives to the right to a refund. Sellers are entitled to refuse unreasonable or impossible demands. So, for example, a seller may refuse to replace faulty goods which can be easily repaired: or refuse to carry out a repair where the simple solution is to replace the goods or provide a refund. Furthermore, if a refund is the appropriate remedy, it can be reduced to take account of any use the individual has had of the goods. The two changes are basically good news for purchasers. However, it is not all bad news for those sellers who revise their terms and conditions for sales to non private consumers and who know that they can refuse unreasonable demands from private consumers. Do the regulations apply to agencies which end on the expiry of the period of the contract, or do they apply only to contracts which are ended by the principal? How is compensation to be calculated? The prevailing view was that two year's remuneration was the yardstick. In 2003, both questions came before an English court. As a result, one question has been answered, and the other leaves room for debate. The clear answer we have is that agents will be entitled to compensation even where the period fixed by the contract has simply expired. The right to compensation is not conditional on the principal taking a positive step to end the contract. So, in a case where an agent had a one year contract which was not renewed, it was still entitled to claim compensation upon the ending of the contract. On the question of calculating compensation, we have a list of factors to be taken into account. The list is not exhaustive and comes with a reminder that it is important to retain flexibility in determining the compensation. The two year yardstick was not approved or disapproved, although the court rejected the practice of following the rulings of French courts. So the picture is clearer, but not by much. Which goes to emphasise that principals should stipulate that agents will be entitled on termination to an indemnity, which caps liability to one year's remuneration, rather than compensation. An issue which has troubled government for many years is the extent to which it should interfere with the right of parties to contract on whatever terms they wish. The catalyst for intervention is the unfair use of economic muscle by powerful businesses to force disadvantageous terms on individuals and less powerful businesses. Attempts to level the playing field include the Unfair Contract Terms Act 1977 and the Unfair Terms in Consumer Contracts Regulations 1999. Employment contracts frequently provide for bonuses to be awarded to high performing individuals. If the bonus is expressed to be entirely within the discretion of the employer, does this mean the employer can refuse to pay it if it just doesn't want to? The issue often arises when an employee is dismissed or resigns after the bonus has accrued but before it is paid. Where employers have refused to pay bonuses on capricious, perverse or irrational grounds, or have acted in bad faith, the courts say that employees can insist on payment even when the bonus is "purely discretionary". Contracts sometimes provide that one party may alter the contract terms. The best known example is the power to alter interest rates in loan or credit card agreements, but the power can extend to the variation of any terms the parties specify. Is a party with a power to alter contract terms entitled to do so without restriction? In short, “no”. The courts say the power is subject to an implied term that it must not be exercised dishonestly, for an improper purpose, capriciously or arbitrarily. These restrictions to contractual freedom have been imposed in a negative way rather than as positive obligations – ie “you must not act irrationally” rather than “you must act rationally”. The employer or other party with the discretion or the power may, if well advised, be able to circumvent these restrictions.